The United States and China have a tentative deal to save embattled Chinese telecom company ZTE, days after the two nations announced a truce in their trade standoff, The Wall Street Journal reported Tuesday. Details remain to be hammered out, but according to the general outlines of the agreement, Washington would lift a crippling ban on selling US components to the company, which in turn would make major changes in its management, executive board and possibly pay additional fines, according to the report. The company had faced collapse due to the US ban, which resulted from its violations of US sanctions against Iran and North Korea. Washington and Beijing on Saturday called a halt to a spiraling trade dispute and Washington's accusations of unfair trade practices and the alleged theft of US technology, suspending US plans to impose tariffs on as much as $150 billion in Chinese imports. China, the world's largest auto market, also announced Tuesday it would cut duties on auto imports to 15 percent from 25 percent, and backed away from a threat to impose tariffs on American sorghum. 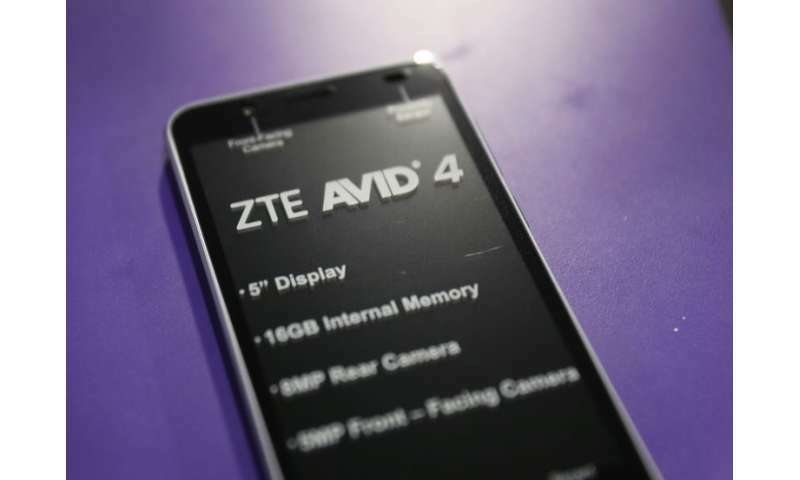 ZTE was fined $1.2 billion in March 2017 but last month it was prohibited from receiving needed US parts after the Commerce Department found the company had lied multiple times and failed to take actions against employees responsible for sanctions violations on Iran and North Korea. US President Donald Trump has faced accusations of quid-pro-quo after pledging to soften punitive US sanctions on ZTE—an announcement which came after AFP reported a Chinese state firm would pour cash into a Trump-tied real estate venture in Indonesia. Trump, however, has denied weakening the US stance toward ZTE.